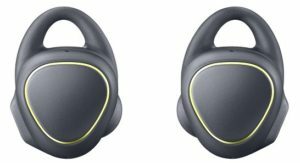 In what must be music to the ears of music-loving gym-bunnies, Samsung Electronics South Africa launched its Gear IconX earbuds, “a genuinely unrestricted way to enjoy music while exercising”. “Most people love to listen to their favourite songs when working out, but it is all too easy to get wrapped up in wires, rather than the music, when trying to listen and exercise at the same time,” the company said in a statement. 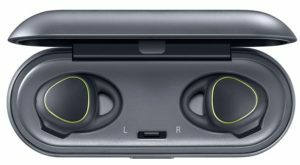 The Gear IconX earbuds have 4GB of internal memory and can hold up to 1,000 tracks. The Gear IconX earbuds also serve as a fitness tracker, working with the S-Health App on Samsung smartphones. Fleischer added that while these earbuds would not restrict your activity at all, that did not mean you had to be oblivious to the world around you. “Users are able to turn on the ambient sound mode to remain aware of their surroundings,” he said.